Gazelle Inc., a Boston e-commerce company, is establishing a 37,500-s.f. processing center in Louisville’s Jefferson Riverport area that will eventually bring 438 new jobs to the region. 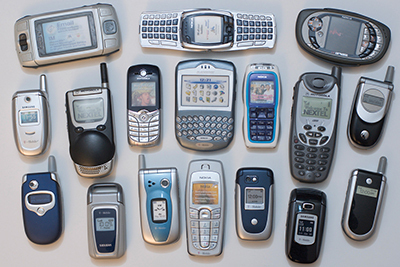 Gazelle pays customers for their old electronics, such as cell phones, and then finds new owners for them or recycles them. Gazelle opened its doors in 2007 with an idea called “reCommerce,” which led to the consumer electronics trade-in site, Gazelle.com. The company offers consumers the opportunity to earn cash for laptops, tablets, smartphones and other electronic devices and then sells the electronics through a variety of channels, including Amazon.com and eBay. Items that are not sold are recycled. Since its inception, Gazelle has accepted nearly 1.5 million items people no longer needed, paying out more than $100 million. Electronics bought by Gazelle will be shipped to the Louisville facility, where they will be unpacked, data-wiped, inspected for quality and repackaged for resale. The company hopes to have 100 employees at the Louisville site within the year and plans to fill proposed 438 jobs within 10 years. The average wage for the positions will be $10.75 per hour, plus benefits. Israel Ganot, co-founder and CEO of Gazelle, said being located close to the UPS Worldport hub was a primary factor in the company choosing the Louisville site. The Kentucky Economic Development Finance Authority preliminarily approved the company for tax incentives up to $3 million through the Kentucky Business Investment program. The performance-based incentive allows a company to keep a portion of its investment over the term of the agreement through corporate income tax credits and wage assessments by meeting job and investment targets. The companies were judged based on their intent and capacity to grow, based on two or more of the following categories: growth in number of employees, increase in sales and/or unit volume, innovativeness of the product or service, response to adversity, employee engagement and commitment, contribution to community-oriented projects and other criteria contributing to the business’ success. Dr. Medhi Yazdanpanah, CEO and founder of NaugaNeedles, was recognized as the SBDC’s 2013 Small Business Person of the Year. While working on his electrical engineering doctorate, Yazdanpanah discovered the technology to produce nanoneedles, tiny needle-like rods that are a fraction of the thickness of a human hair. The miniature wires, which reflect light, conduct electricity and resist corrosion, can be used in biomedical applications, sensors, tools for semiconductor manufacturers and other applications. Yazdanpanah trademarked the product and formed his company, NaugaNeedles LLC, in 2007. NaugaNeedles’ devices are now being used by more than 150 research groups around the world, and the company holds two U.S. patents and has seven patents pending. Accuride Corp., a supplier of components to the North American commercial vehicle industry, is investing $5.8 million to expand its steel wheel production facility in Henderson. Accuride’s customer base includes heavy-duty commercial truck and trailer original equipment manufacturers as well as the commercial vehicle aftermarket. The Henderson facility also is home to Accuride’s wheel research and development center and the company’s wheel product development and testing facilities. The expansion will include a new state-of-the-art coating line, and the company expects to add 30 jobs over the next several years. The new line is expected to be operational by the end of this year. Accuride’s Henderson facility was established in 1974 as part of what was then Firestone Steel Products.  The 364,000-s.f. plant currently houses a staff of approximately 160. The Kentucky Economic Development Finance Authority preliminarily approved the company for tax incentives up to $600,000 through a performance-based incentive that allows a company to keep a portion of its investment over the term of the agreement through corporate income tax credits and wage assessments by meeting job and investment targets. 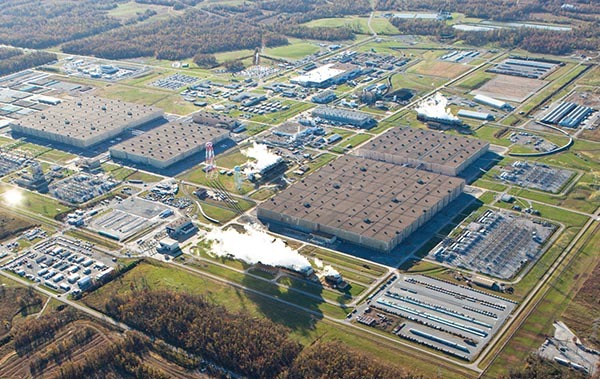 GE Appliances’ expansion in Louisville has been named as one of the top six projects in the nation for job creation in 2012 by Area Development magazine, a leading economic development trade publication. The winners of the magazine’s “Golden Shovel” awards were selected based on the fact that they created a large number of high-value-added manufacturing jobs in new or expanded facilities. 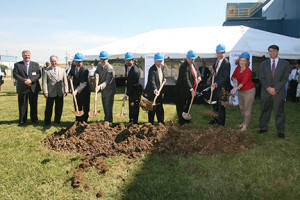 GE’s expansion represented a $649.8 million investment and added 1,214 new jobs. The award criteria was based on the number of new jobs to be created in relation to the state’s population, the combined dollar amount of the investments, the number of new facilities and the diversity of industry represented. The four states achieving the highest weighted overall scores were awarded Area Development’s 2013 Gold Shovels in four population categories. Runners up in each of the categories were awarded 2013 Silver Shovels. GE’s expansion helped catapult Kentucky into position to receive a “Silver Shovel” award in the 3 to 5 million population category. 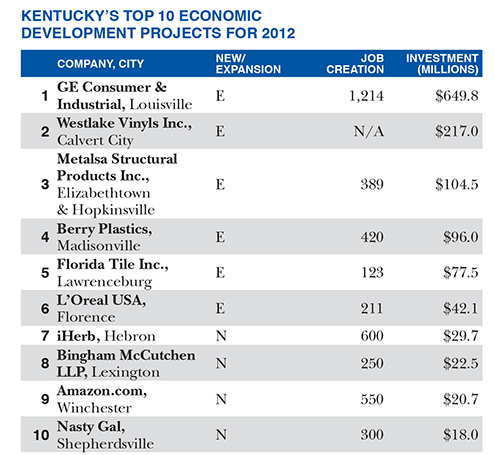 Kentucky’s top 10 projects resulted in more than 4,000 jobs and nearly $1.3 billion in investments. Two construction projects are currently under construction in Shepherdsville that will provide more than 1.2 million s.f. of speculative space. Main Street Realty Inc., a real estate development company owned by Humana co-founder David A. Jones, is constructing a new $22 million spec building in Shepherdsville. The 600,000-s.f. facility will be situated on 41 acres in the Cedar Grove Business Park, located directly off Interstate 65 at exit 116 and is expected to be ready for occupancy by Nov. 1. Nevada-based Dermody Properties has purchased 36 acres in Shepherdsville’s Settlers Point Business Park, where it plans to begin development of a 624,000-s.f. speculative building. Dermody plans to break ground on the project this month and expects the structure to be complete by the fourth quarter of 2014. The building will be configurable to allow for up to four separate users. A newly formed fishery has established operations in Wickliffe, creating 50 new jobs. Because of their propensity for jumping, silver carp can be dangerous to recreational boaters. Two Rivers Fisheries Inc. plans to purchase Asian carp from local fishermen, process the meat and blast-freeze the product for shipment to Southeast Asia, where the fish are in demand. 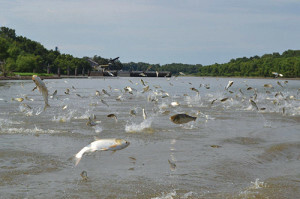 Bi-products from Asian carp processing can also be used to make fertilizer. The plant will have the ability to process and sell up to 10,000 pounds of Asian carp per day. 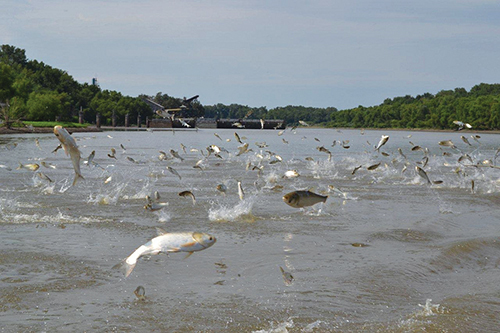 According to the Kentucky Department of Fish and Wildlife, Asian carp are reproducing at alarming rates and threaten the ecology of many Kentucky waters. The fish are out-competing native fishes for forage and becoming over populated. Futhermore, because of their propensity to jump, silver carp can be harmful to recreational boaters. Sen. Bob Leeper, of Paducah, called the formation of Two Rivers a “win-win” for the area. “It not only provides another market for a local resource, but helps address the dangers of this invasive species,” Leeper said. 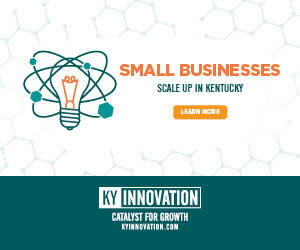 The Kentucky Cabinet for Economic Development has a launched a new site-selection mapping tool to help companies streamline the process of finding a new business location. 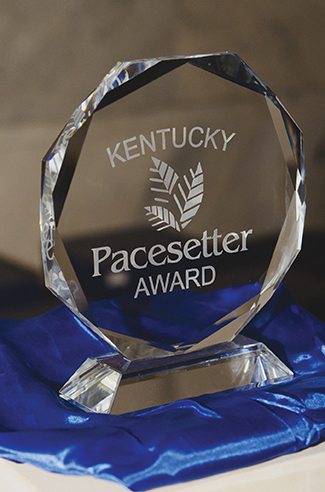 “Our goal for developing Select Kentucky was to provide companies with a first-class experience when searching for and analyzing Kentucky properties and communities for economic development opportunities,” said Cabinet for Economic Development Secretary Larry Hayes. Using Geographic Information System (GIS) software, Select Kentucky brings together multiple search components into one system, providing centralized access to an extensive collection of detailed information and reports, including site and building inventory, existing Kentucky industry data and community demographics. The tool also provides the ability to utilize a broad range of specific criteria, including proximity searches, drive time and measurement tools, customized industry and demographic layers and more, significantly reducing the time it takes to evaluate complex site selection criteria. Data can also be saved and shared through a number of platforms. To explore the new site, visit selectkentucky.com. Catalent Pharma Solutions conducted an official ground-breaking ceremony last month to launch construction on a $35 million expansion of its Winchester plant. Construction is now under way on a $35 million project that will nearly double the size of Catalent Pharma Solutions’ facility in Winchester. The project will add 80,000 s.f. to the existing 100,000-s.f. facility, where the company produces a variety of over-the-counter and prescription drugs. The New Jersey-based company opened its Winchester plant in 1992. Since then, the facility has launched more than 100 products for Catalent’s pharmaceutical and consumer health customers. The plant currently employs more than 300 people and the company plans to add 90 new jobs to support the expanded operations. Catalent expects the expansion project to be complete by October 2014. Unable to reach a deal for the short-term extension of uranium enrichment at the Paducah Gaseous Diffusion Plant, the United States Enrichment Corp. (USEC) will begin laying off employees in August. USEC officials said that despite the excellent performance of its workforce, high production costs due to the large power consumption of the plant and falling prices in the global nuclear fuel market have made it difficult to continue commercial enrichment at the plant. Macco Organiques, a Canadian chemical manufacturing company, is investing more than $11.5 million to expand its operations into the Paducah area within the next two years. The company will move into the Paducah Triple Rail Spec Building, bringing 40 new jobs to the area. Macco Organiques manufactures chemicals used in dialysis treatment supplements, preservatives, beverages and airport runway de-icing – and is famous for its “dust-free” products. The Paducah plant will produce calcium chloride and magnesium chloride, two pharmaceutical-grade salts that the company is currently manufacturing in the Czech Republic. Though moving the business to the United States will raise labor costs, the company said it will reduce transportation costs and shipping time. The company hopes to begin production by mid-2014. Joined by nearly two dozen Kentucky companies and several trade partners, Gov. Steve Beshear led an international business trade mission to Canada last month in an effort to further increase commerce between the two trade partners. 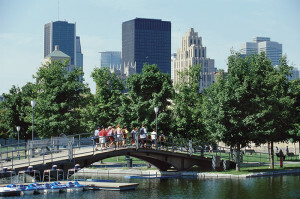 The Kentucky Export Initiative visited Montreal (above) and Toronto. Kentucky’s business ties to Canada play a major role in the commonwealth’s economy, with an estimated $11 billion in bilateral trade between Canada and Kentucky. Canada is Kentucky’s No. 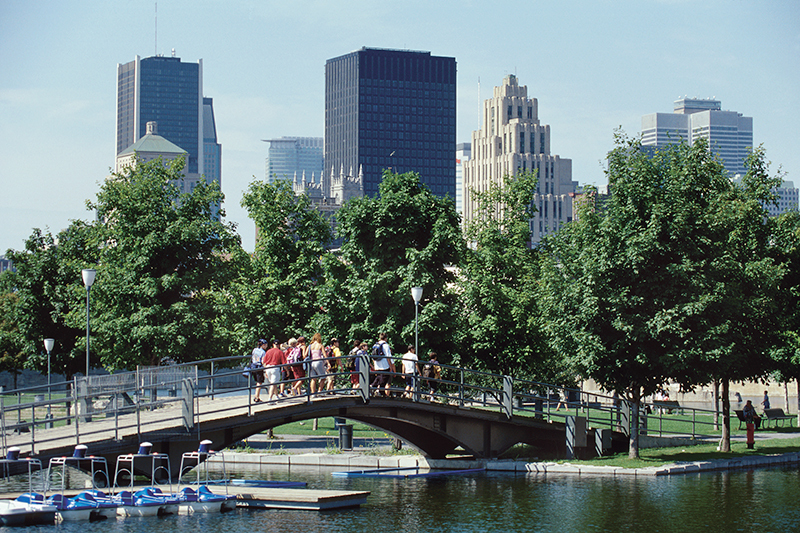 1 trade destination, with $7.3 billion in Kentucky products and services exported to Canada in 2012. “Exporting is vital to our economic strength, and it’s crucial that we continue to enhance those ties and create long-lasting and prosperous business relationships,” said Beshear. Dave Adkisson, president and chief executive officer of the Kentucky Chamber of Commerce, said the trade mission offered an outstanding opportunity for Kentucky businesses – even those that had never exported – to connect with potential partners in Canada and explore possibilities for selling their products to companies there. The Kentucky delegation included more than 50 business leaders, representing more than 20 companies and 11 organizations from across the state. After more than five years of planning and fundraising, construction has officially begun on the National Corvette Museum Motorsports Park (MSP). The Corvette Museum Motorsports Park will be built on 184 acres in Bowling Green. The motorsports park will be built on 184 acres and will feature a two-mile west and 1.1-mile east circuit that can be combined in multiple configurations, ranging from the high-speed loop of 1.96 miles to the 3.15-mile technical course. The facility also will include an autocross/skid pad area, paddocks, control tower and classrooms. The Corvette Racing/Pratt and Miller Team contributed to the layout of the track, which will include features from their favorite and most challenging track, the Le Mans circuit. Testing on the Le Mans track is not possible because the circuit is composed of public roads, making the MSP track a valuable resource to test the key features of the Le Mans circuit. 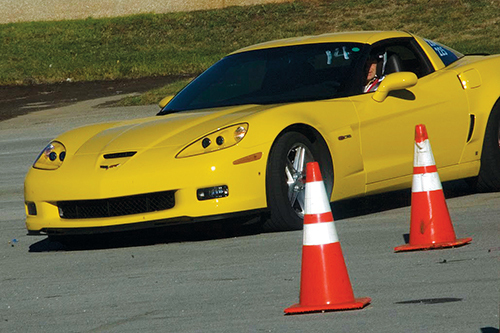 The park will also provide many other functions, such as vehicle testing by engineers at the nearby Corvette Assembly Plant, teen driver training programs, emergency vehicle response training and corporate events. National and regional car and motorcycle clubs will be able to rent the track for their clubs’ driving activities. The target date for at least part of the facility to open is Labor Day weekend 2014, which coincides with the Corvette Museum’s 20th anniversary. 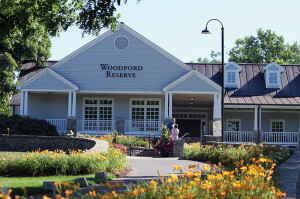 Brown-Forman Corp. is investing more than $35 million to expand its Woodford Reserve Distillery to meet growing demand for the super-premium Woodford Reserve Kentucky Bourbon produced at the Versailles distillery. 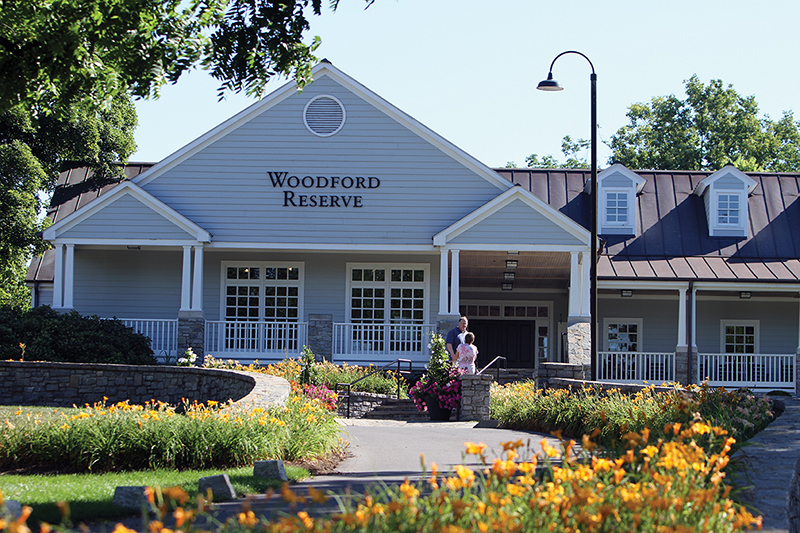 The beauty of the Bluegrass region and the rich tradition of Kentucky bourbon continues to draw an increasing number of visitors to the Woodford Reserve Distillery each year. The distillery expansion will include the addition of three new warehouses that will accommodate more than 165,000 barrels of bourbon; new stills; expansion of the existing bottling line; and improvements to increase general efficiency and productivity. The project is expected to create 15 new jobs. The distillery currently employs a staff of 30 full-time workers.